Tripp Lite 10ft USB 2.0 High Speed Reversible Connector Cable Universal M/M - (Reversible A to Reversible A M/M) 10-ft. Easily connect USB devices without fumbling with the connector. 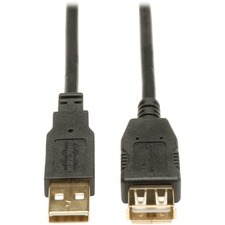 Universal Reversible USB 2.0 Hi-Speed Cable includes connectors that work in either direction so you don't have to look to see which is right side-up anymore. Transfer rate is 480Mbps. It is backward-compatible with previous generations. Gold contacts and molded ends provide a lifetime of use. System requirements include a computer with a USB A-Female port and a USB device or Patch port with USB A-Female Port. This 10' cable will not work as a PC-to-PC connection. 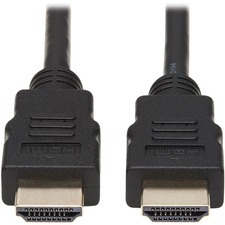 This USB Male-to-Male cable is not a standard USB cable configuration, and is only used in rare instances where a peripheral or patch bay employs a USB A-Female connection in place of USB B-type port.2. 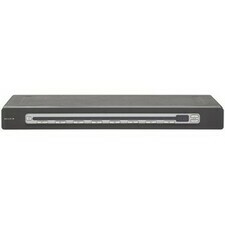 The OmniView PRO3 8-Port KVM Switch provides easy and dependable server control with extraordinary performance. The PRO Series KVM Switches are the industry's most popular for small-to-medium server rooms, branch locations, and test and development labs. Designed to grow along with your server network, the Switch can be daisy chained together using dedicated daisy chain ports with other OmniView PRO Series KVM or SMB KVM Switches to support up to 256 servers. 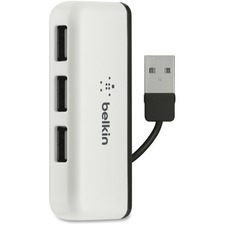 Add four Hi-Speed USB 2.0 ports to your computer for quick, easy access. Plug-and-play technology means no drivers are required. Design also includes built-in cable management. Data transfer speeds are up to 480MB per second. The 4-Port Travel Hub is compatible with your PC, Mac or laptop/netbook/ultrabook - perfect for connecting a keyboard, mouse, thumb drive, charging cable or any other USB-enabled device. Category 5e patch cable offers a high-speed solution for distributing data, voice and video over networks. 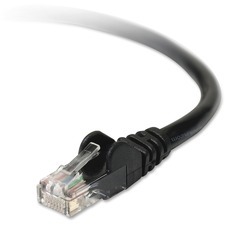 Molded RJ45 connectors feature integral strain relief for enhanced durability. Durable construction is made from PVC four-pair stranded UTP and is rated for 350MHz/1Gbps communication. Cable meets current industry standards including IEEE 802.3ab, IEEE 802.5, ANSI/EIA/TIA 568, ISO/IEC 11801 and ETL (category 5e draft 11). 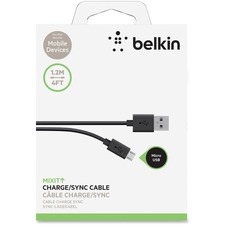 Charge and sync your mobile devices (sold separately) quickly and safely with this 4' micro-USB to USB cable. Ultra-compact size lets you stay connected whether you're at home, at work or on the road. Universal design plugs into any USB 2.0 port to quickly charge or sync your devices. Cable is compatible with Samsung Galaxy S III, Samsung Galaxy S II or Samsung Galaxy Note II smartphones (sold separately). 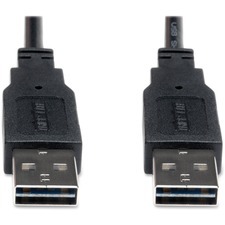 Micro-USB connector also works with most smartphones and tablets with a Micro-USB port, including Samsung, Kindle, HTC, Nokia, LG, Nexus and Motorola. 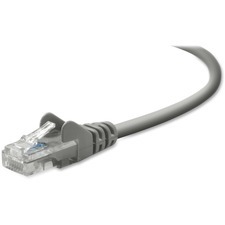 This CAT5e networking cable allows you to connect your laptop or computer to any network-enabled device so you can access high-speed networks and/or the Internet. Gold-plated contacts provide maximum conductivity for fast performance. 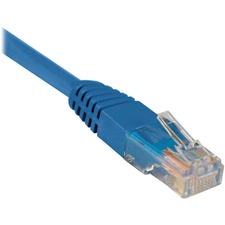 Snagless design protects the RJ45 insertion tab to allow safe use. Offset twisted pairs reduce cross5/8/2015talk and attenuation. Molded strain relief bends easily for enhanced durability and fit.